Whether it’s our youth or health, we tend to take many things for granted, and our healthy locks are one of those things. Fortunately, it is now possible to curb hair loss either through medications or surgical treatments, namely hair transplant. Hair transplant is a straightforward, albeit a quite meticulous procedure whereby healthy hair follicles are harvested and implanted in areas of the scalp where hair is thinning. 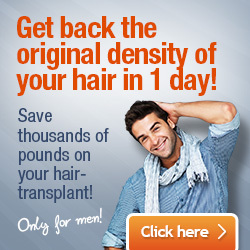 Hair transplant procedures are carried out at hair clinics specialised in preventing and treating hair loss. Thanks to direct flights to Budapest a new opportunity and an alternative to Mexico for US male patients in Budapest, Hungary. With more than 100 hair restoration clinics throughout the USA and Canada, it’s safe to safe that Hair Club is one of the largest hair clinics in the US. At Hair Club various hair loss treatments and surgical procedures have made many patients happy to have undergone the hair restoration procedures recommended by the 5-star medical staff. This hair clinic that is regarded as one of the best in the US. Bosley brings together some of the most experienced and well-trained hair transplantation surgeons in the world. Founded in 1974 by L. Lee Bosley, M.D., who helped pave the way for the development of hair restoration techniques that are still used today. Dr. Bosley is credited with having performed 32,500 hair restoration procedures throughout his entire career. The services available at Bosley hair clinic reflect solutions to the most common hair loss problems faced by patients. The treatment options include FUE hair transplant, Bosley LaserComb, Theradome Laser Helmet, Bosley HairMax Laser Band, etc. Located in midtown Manhattan, New York, Bernstein Medical is a state-of-the-art hair restoration centre. High level of patient care and high-end treatment solutions make this hair clinic one of the best in the US. All FUE hair transplant procedures are carried out using the ARTAS Robotic Hair Transplant System. Other hair transplant services include eyebrow and sideburn transplantation, FUT procedure, brow-lifts, and medical treatment of hair loss. 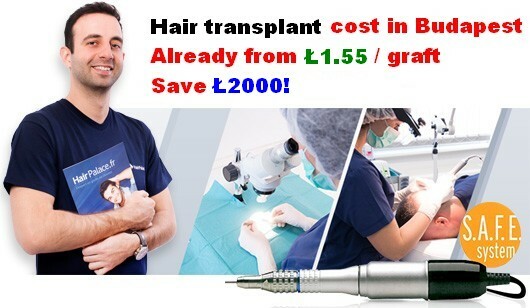 As developers of the famous NeoGraft Automated FUE Hair Transplant technique, USA Hair Clinics have made themselves a name in the hair transplant industry. The NeoGraft technology comes with several benefits such as shorter recovery times due to the minimally invasive procedure, minimal discomfort, no risk of complications and a quicker procedure. USA Hair Clinics are located in Chicago, Boston, New York, Los Angeles, and Philadelphia. Their patient-friendly approach and excellent service makes them one of the most popular hair clinics in the United States. HIS stands for Hairloss Improvement Solutions and it was founded by two hair loss experts, Ian and Ranbir Rai-Watson. They are also the developers of the Scalp Micro-Pigmentation (SMP), a technique used today by many hair clinics around the world. HIS hair clinics are available in 15 countries. Hair surgeons at HIS provide other hair loss remedies as well (laser therapy, hair replacement, mesotherapy) with focus on the differences between female and male pattern hair loss.